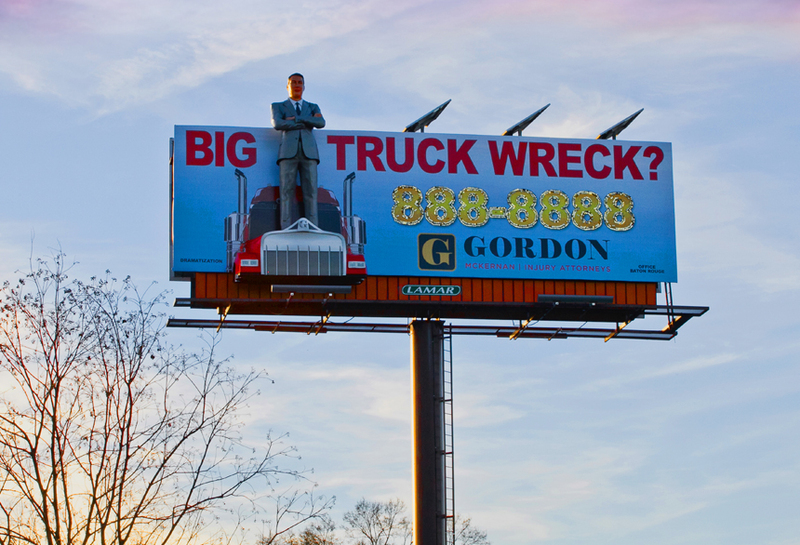 Injury attorney Gordon McKernan made a major statement in Baton Rouge with 3D billboard embellishments from Lamar Advertising Company. Using its 3D production capabilities, Lamar Advertising created a 16-foot tall, 200-pound larger-than-life realistic foam cutout of Gordon McKernan and a 12-foot wide, 300-pound truck. The 3D foam props were secured to the billboard structure, creating a bold, impactful design.